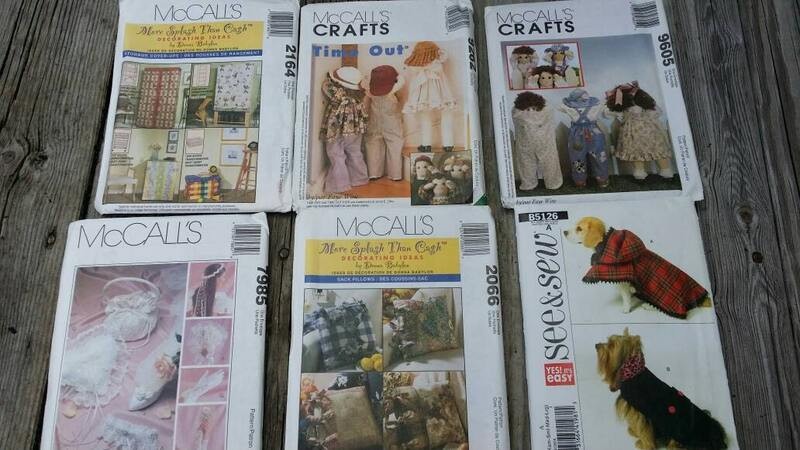 Set of 6 craft patterns. 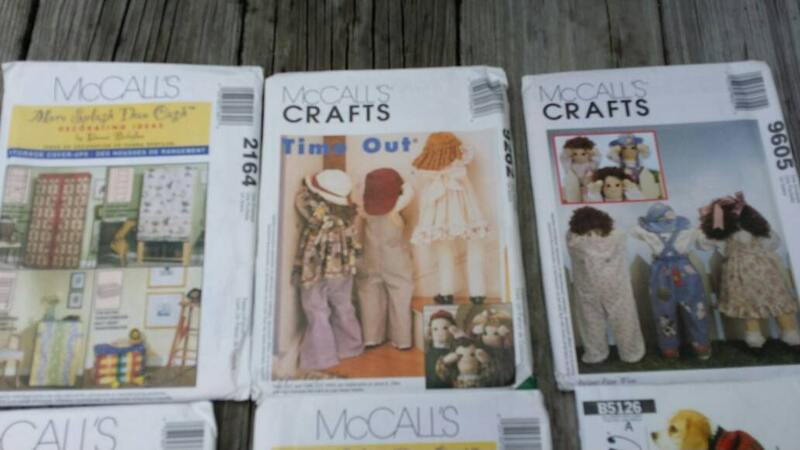 Patterns are from 1998, 1999 and 2007. 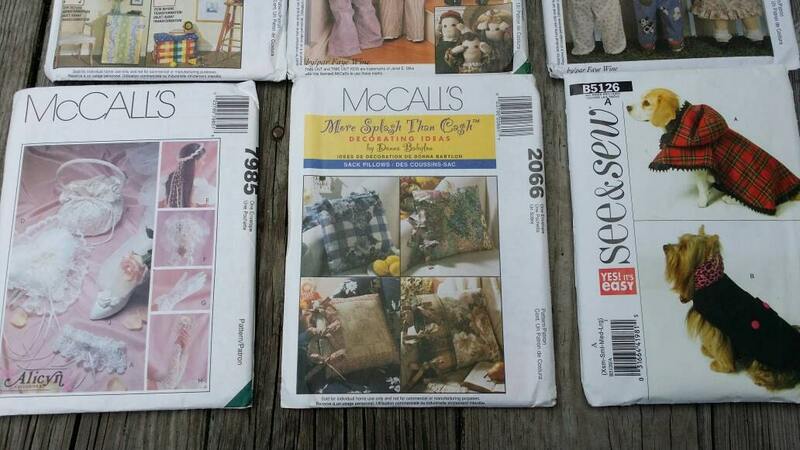 Patterns include McCalls pattern 2066, 9262, 2164, 7985,9605 and See and Sew B5126. Some of the patterns have been opened and used. All of the pattern pieces are there to the best of my knowledge. 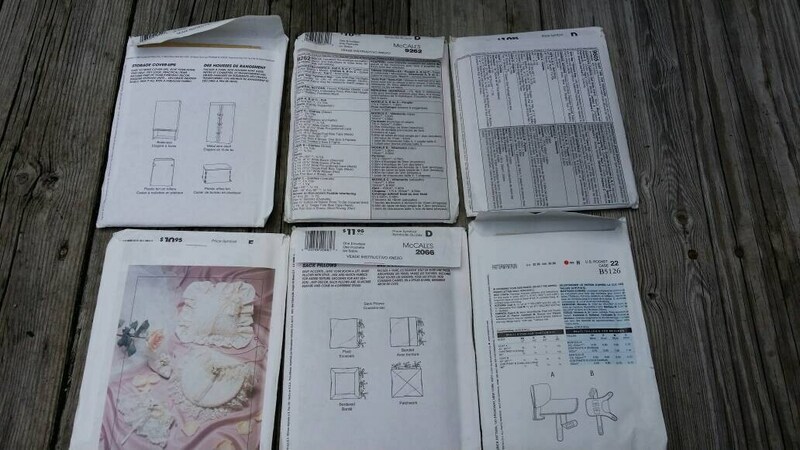 Patterns are in original envelopes.